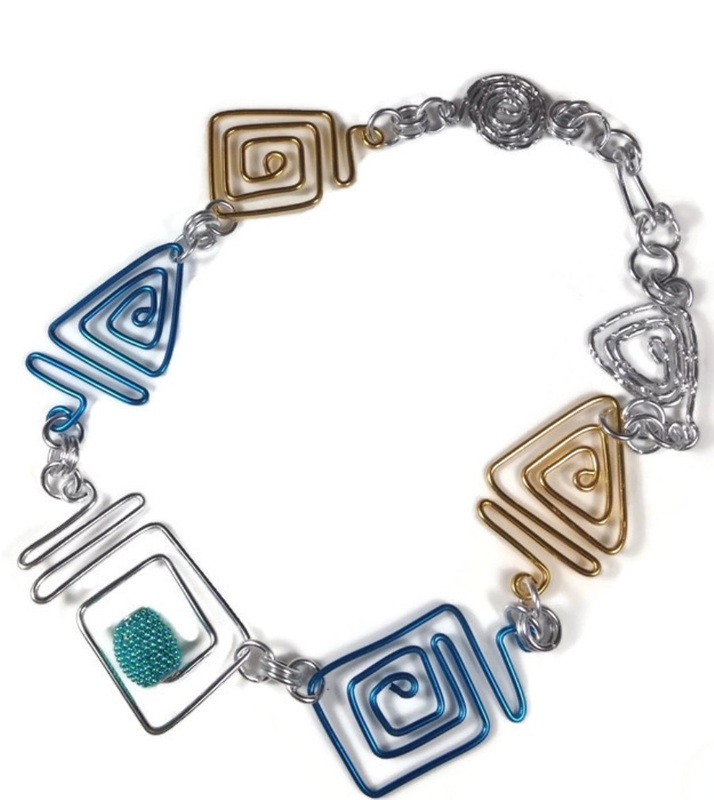 Anodized Aluminum jewelry is as fun to wear as it is to look at. At Chrizart Creations, we are all about color. This line is bold, funky, and fun. Have you Anodized Yourself? Try it! From our rings, to our pendants, bangles, and earrings, we offer a bright, colorful, and 'Light as a Feather' alternative to heavy, boring jewelry. Our anodized aluminum jewelry will make you forget you have it on until someone says "Wow, where did you get that jewelry?!" As you remember and smile, you share Chrizart with the world. Creating this jewelry, was actually a gallery owner's idea. 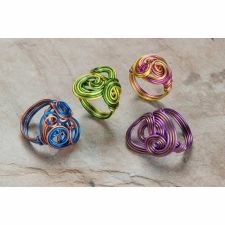 One day she approached me and asked if I would develop a line of rings with this fabulous colored wire that she had seen. At that point, I was strictly using sterling silver wire, and she wanted something unique, colorful, and totally different. Being who I am, I could not turn away from a challenge. This entire line is because of that one owner wanting something out of the norm, and I am so glad she did! When we say each piece is lightweight, it is no exaggeration! The earrings card weighs more than an earring. They are a joy to wear. Each piece is handmade, lovingly in-studio, right here in the heart of Appalachia, and infused with all the good vibes and blessings a handmade piece can bring into your life. Each will vary slightly as this is the nature of owning a one-of-a-kind creation!